Yesterday I had a sudden urge to craft. I have a small obsession with grey and yellow right now, and I also love ombre, so I wanted to put all that together. I came up with this semi-quilled monogram. This was a super easy project. 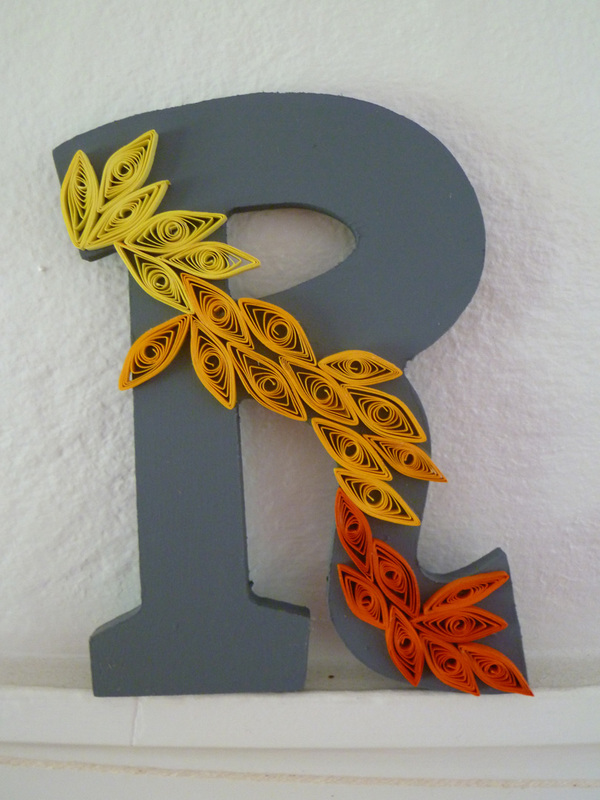 I painted the R grey, quilled a bunch of marquis, and mod podged them on. Unfortunately, these colors don't go with anything in our house. So, it'll probably go in my classroom when school starts. where did you get that R? I LOVE the shape of it!! @Lori- Found it at Michaels. What are marquis?? Love the ombre!